My boat and motor manufacturer are by far the biggest contributor to my success. My skiff is a 17' carbon-kevlar Mirage HPX. This is the third Mirage I've owned... nuff said! 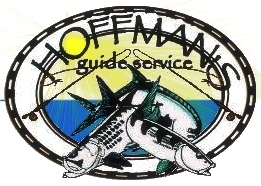 The choice of many poling skiff guides in the Keys. Yamaha has provided me with the most dependable motor on the market. Its power to weight ratio allows me to get to the flats quickly and perform my job in the shallowest of water. My Sage flyrods are the first choice when it comes to fishing the salt.. Fast action rods that deliver. When all the power generated at the wrist makes it to the top.. only the fish come out on the bottom..
Tibor reels set a standard years 25+ ago when Ted produced them for Pate.. He continues today with the finest flyreels one can own. Drags that super smooth and can withstand a blistering run from a bonefish or the heavy pressure put on a grey hounding tarpon. From trout to tarpon.. Tibor has the model for you..
3M Scientific Anglers produce location and target specific flylines which meet my needs in the temperate climate of the Fl Keys. They are the only flyline i've used in 21 years of guiding. The mastery series are always attached to my backing. Shimano spin fishing products are well thought out.. durable and smooth.. With some of my reels having up to 10 bearings.. these things never say "give!" Light, fast action rods that cast long, smooth and accurate.. my choice?.. Sustain FG and the time tested Stradic FJ series! Check out the entire line! Dyna King vises are top notch tools.. for serious tyers. My rotary ultimate indexer saves time after a day out on the water and tying a few for the next day..
Patagonia is in charge of keeping me cool... and well-traveled. From Islamorada to Costa Rica, they've got me covered. They've a line of gear bags, travel luggage and clothing built for the demanding fisherman and a warranty policy that will put a smile on your face. Simms.. "the choice of professional guides worldwide". There is a reason. From foul weather gear to tackle bags and much more. It is evident these guys have spent some time on the water. Products that reflect the need to protect ourselves and our gear. It took a lot of thought to put yet one more piece of equipment on my boat. After breaking nearly a pushpole a year, due to my rough handling of them, i needed a solution. Now that i've found how useful it is, this should have been a no brainer..
Who says tackle bags have to be boring? Fishpond makes some of the most feature packed gear bags one can find. My cloudburst gear bag is stuffed with everything i need to be successful and productive on a charter. Ameritrail boat trailers allow worry free trailering each day to the ramp. My custom built Ameritrailer cradles my skiff and provides trouble free launching and hauling each day. A low profile trailer, it allows me to lauch with only the rubber of the tires in the water. There is no substitute for quality. What do I tie with? Well, for my needs, I utilize flytying products made by Hareline Dubbin. They have largest selection of high quality materials produced with the strength, flex, flash and movement needed for fishing the flats. Their products are long lasting and durable. Promar landing nets ensure i get that sucker in the boat. Nets made with a purpose and a heart.. Soft "catch and release" mesh is easy on the scales. Durable enough to withstand the daily use on a guide boat and small enough to hide in the limited confines of same skiff..
Daiichi hooks are strong and sharp, right out of the box! 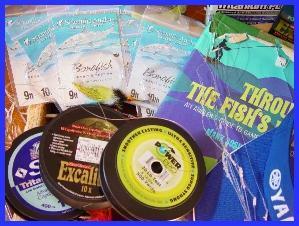 From jerk baits to live bait, Daiichi has your hook. I've been using these lures since i was a kid. They still produce, day in and day out. (which is a pretty good time to fish!) A huge selection of styles and colors to fit any fishing situation. Help save the seagrass... and your lower unit. I've one installed on each of my skiffs. Idle in or out of the shallow water if at all possible and save some time poling. The Bobs Machine Shop jackplate has been the go-to dependable choice of guides for years.